Companies that routinely use marketing research to uncover customer attitudes, values, hopes, fears, needs and desires have taken the first step in co-creation. Harley-Davidson executives participate in HOG Rallies with their customers. While participating in the event, they observe, ask questions and interact with their customers. They then return to their headquarters to debrief and use what they have learned. This is one example of ethnographic research. Another is giving customers cameras, allowing them to capture images around the topic of interest. Many brands use customer advisory boards. Some have created their own user panels. Many companies choose customers with whom they beta test new products. More and more, companies are using online forums to solicit customer input. For many years, Coca-Cola has explored different ways to deliver end-user customization. Co-creation takes all of this a step further. It requires that the end user participate in the design process itself. We have developed a process to help you co-create your brand with its customers. It combines needs exploration, ideation, prototyping and simulation, and of course, the participation of your customers. If you accept as a premise that all products and services and therefore all brands exist for one purpose and one purpose alone, to meet human needs, then the advantages of customer co-creation becomes obvious. Why not involve the customer in the design of something that is intended for his or her use? In urban planning or land use planning, design charrettes with the participation of residents and other interested parties serve this purpose. Techarrettes are a variation of this focused on technology or software products. In a more limited way, crowd sourcing is a form of co-creation. 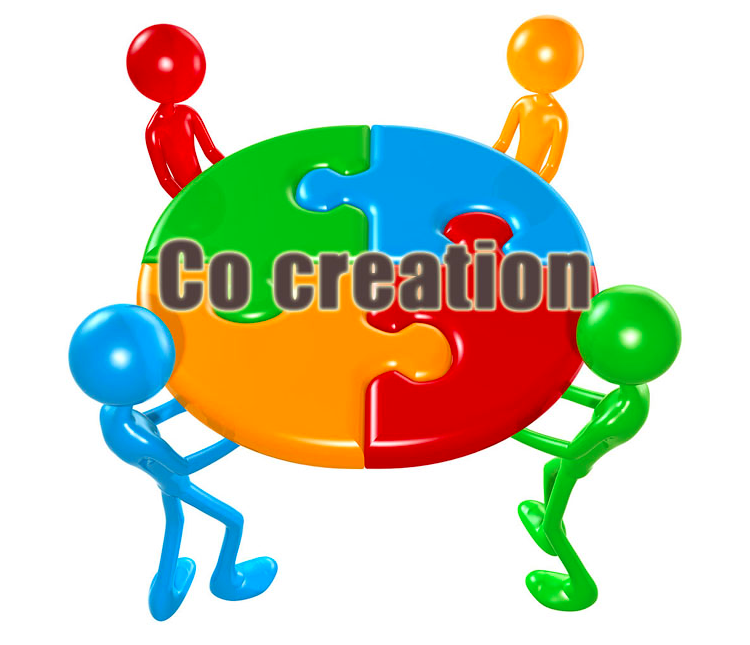 Open innovation or user innovation is clearly a component of co-creation. Not only can co-creation lead to better solutions, but it also empowers end users and has the potential to substantially increase their loyalty and advocacy.